Yesterday, on June 21st, Google announced on their blog that they have recently updated their notification settings on Google Analytics to now include additional alerts for users whenever their sites’ security has been compromised. These new updates will specifically target malware and ‘phishing’ attacks in the hopes that website admins can make the proper safety steps in order to promptly secure the integrity of their site. In addition to improving their product, Google likely added this feature to help combat the steady rise in cyber attacks. Last September, Google informed the public via their blog that they’d seen a 180% increase in sites being hacked over the previous calendar year. 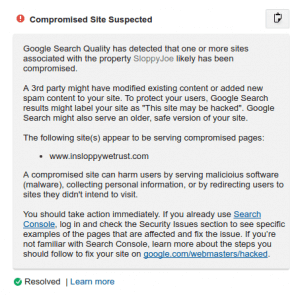 Back then, Google made it a point to share that one of their main emphases going forward was providing webmasters with better tools to combat hacking. Now, several months later, Google has implemented a number of helpful tools, including this hacking notification. 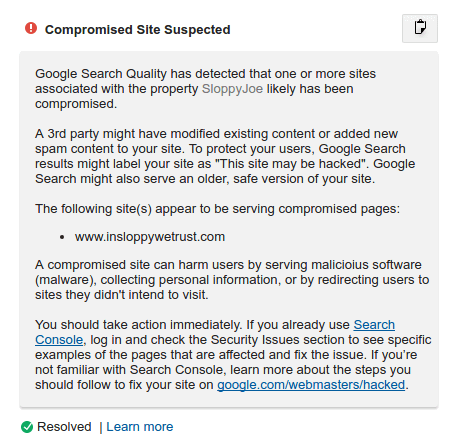 In regards to #4, an easy way to access all of Google’s security tools is to use Google Search Console. After getting your website verified with Search Console, you’ll be able to integrate your AdWords data into Search Console to have as much information at your fingertips as possible.